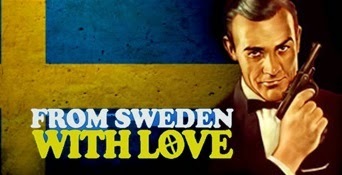 SANTA MONICA, Calif., July 20, 2011 /PRNewswire/ -- The world's most famous secret agent is back! 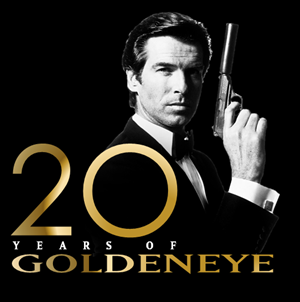 Activision Publishing, Inc. (Nasdaq: ATVI) today declassified the existence of GoldenEye 007: Reloaded, which will make its grand debut on the PlayStation®3 computer entertainment system and Xbox 360® for the first time ever. Built on a brand new engine that delivers striking visuals, blistering fast gameplay and the ability to play using the PlayStation®Move with Sharp Shooter peripheral, GoldenEye 007: Reloaded is the complete James Bond experience shooter-fans have been waiting for and will launch in stores later this fall. 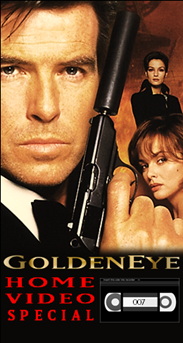 "We are beyond ecstatic to debut GoldenEye 007: Reloadedto the millions of fans who have been clamoring for it to arrive on Sony and Microsoft home consoles," said David Oxford, Executive Vice President at Activision Publishing. "And now with full PlayStation Move functionality, 007 fans all around the world can play the game in full HD in more ways than ever before." GoldenEye 007: Reloadedis a contemporary James Bond experience featuring HD visuals and realistic environments running at 60-frames per second, akin to today's elite action games. Additional to the legendary story campaign, the game introduces the brand new 'Mi6 Ops Missions' – new, distinct levels separate from the campaign that span the varied environments from the story and challenge players to complete different Assault, Elimination, Stealth and Defense objectives. GoldenEye 007: Reloadedalso takes multiplayer to new heights, maintaining and improving its renowned four-player split-screen action and adding full, adrenaline-pumping 16-player online matches with more maps, weapons, characters and game modes than ever before. 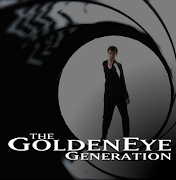 GoldenEye 007: Reloadedwill arrive in stores this fall and is being developed by Eurocom under license from EON Productions Ltd and Metro-Goldwyn-Mayer Studios Inc. (MGM). For more information and to receive exclusive updates about the game, visit www.facebook.com/GoldenEyeGame or www.goldeneyegame.com. 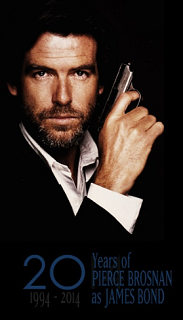 GoldenEye,007 and related James Bond trademarks © 1962 – 2011 Danjaq, LLC and United Artists Corporation. 007™ and related James Bond trademarks are trademarks of Danjaq, LLC and licensed by EON. Activision is a registered trademark of Activision Publishing, Inc. "PlayStation" is a registered trademark of Sony Computer Entertainment Inc. Microsoft, Xbox, Xbox 360, Xbox LIVE, and the Xbox logos are trademarks of the Microsoft group of companies. All other trademarks and trade names are the properties of their respective owners. All rights reserved.